Welcome to Game Zone, established in the year 2009, we are the best wholesaler, supplier, distributor, trader and retailer of Sports Equipments and Accessories. 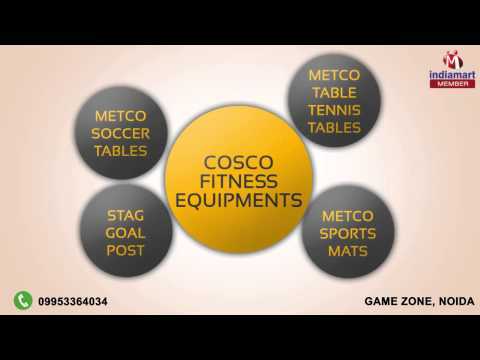 These facilities are provided to our clients in order to fulfill their variegated needs which primarily include Metco Soccer Tables, Cosco Fitness Equipments, and Cosco Fitness Equipments. For the sports freaks we are enabling best solutions inclusive of best range of sports accessories and related products. To meet our organizational goal, we provide our customers with the latest & specific product range that perfectly match up with their needs & requirements. The entire manufacturing of products performed at vendor base that secure immense knowledge in the domain of sports industry products. Additionally, we have products for each specific sports category that include swim sports, gymnastics, track & fields, athletics, and adventure sports. All our product range is quite popular in the market due to their quality, finish and usage.